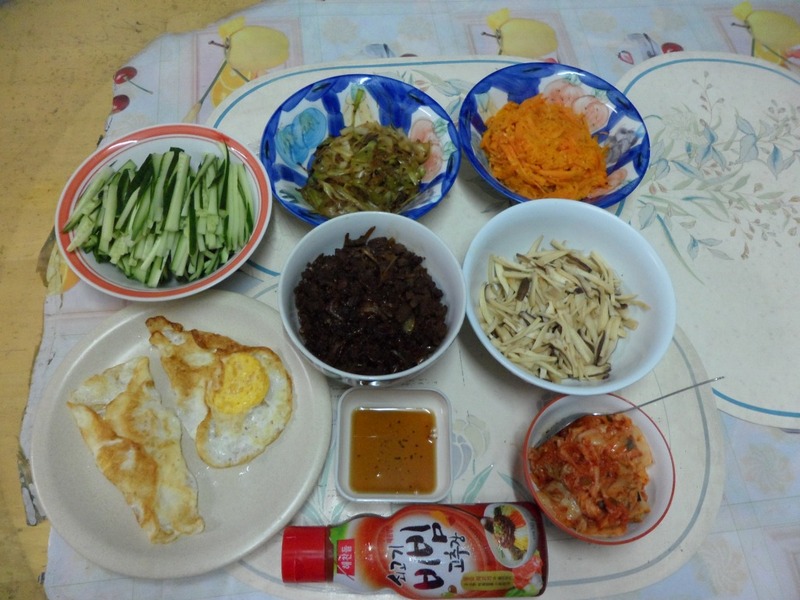 Watching all the Korean drama has increase my cravings for Korean food recently. I have always been a fan of Korean cuisine. But have never made any real effort to prepare the dishes. 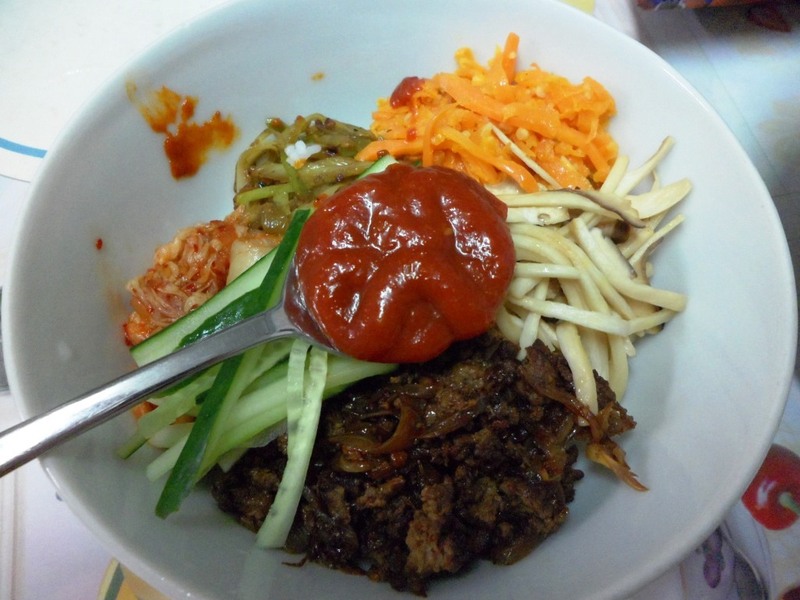 So, I decided to try my hand at making one of the many Korean signature dish – bibimbab which is a mixture of white rice topped with sautéed vegetables and ‘gochujang’ (chili pepper paste). It’s basically quite an easy dish to make. Just very tedious and need a lot of patience !! All ingredients are sauté individually with salt and pepper to taste (except the cucumber). For the mince pork and lamb, marinate it with some oyster sauce, Soya sauce, sugar, salt, pepper and also sesame oil. Once everything is done, I took some hot white rice and drizzle it with some sesame oil. After that, I arrange the entire ingredients into the bowl. Add the gochujang according to your taste. Mix everything up evenly and dig in !!! O-so-GOOD… hehehee.. I love it. Hub loves it. Yay !